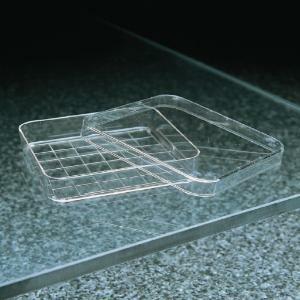 Petri dishes having a raised square grid on the bottom part. The grid consists of 36 small squares; each square is identified to facilitate special type counting or location of specimens. 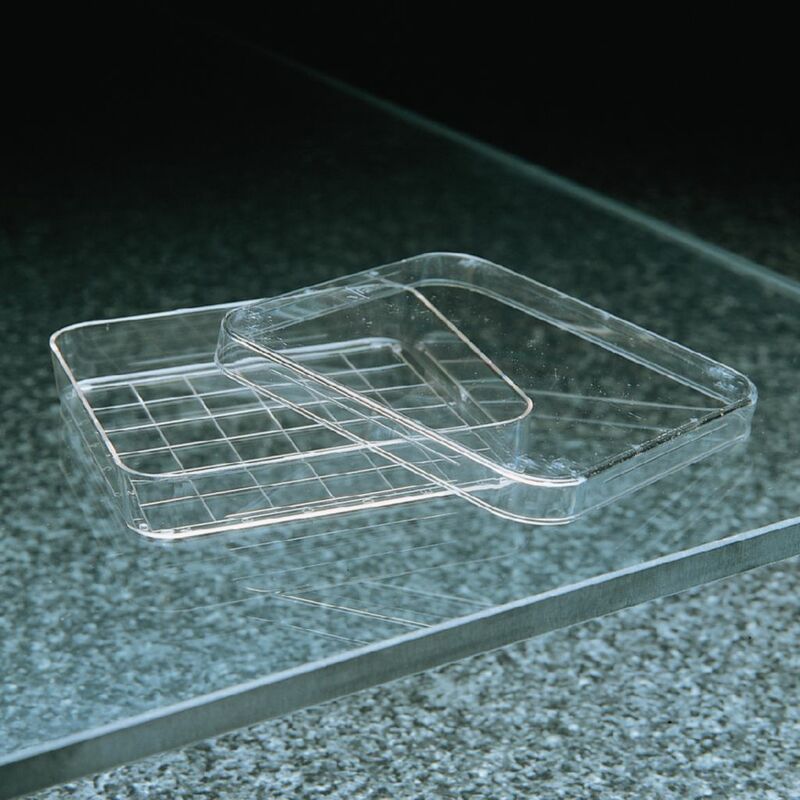 Supplied with top and bottom in sterile shelf packages. Size: 100 x 15mm.